After five years, Electronic Arts has finally released a new Sims game but the reception hasn’t been the best so far. Gamers and reviewers are extremely disappointed with the functionality and content of the game. But some go even farther claiming that The Sims 4 is a huge failure. But why exactly? What’s so wrong about Maxis’ new game? Here’s five reasons why The Sims 4 is a huge flop and most likely, the worst of the Sims series so far. 5. Aging Controversy: Teen, Adult or Elder? In The Sims 4 age seems to be rather meaningless in terms of aesthetics. Whether your sim is a teen, young adult, adult or elder, their height doesn’t change at all and their physical appearance remains pretty much the same all along. Isn’t that a bit controversial? In previous games, teenagers were smaller than adults and elders used to have noticeable wrinkles and body changes, which made them look visibly older. Now, we got a slightly eternal-look system that disregards aging at every level. For some reason, EA now thinks that white/gray hair is all that matters when it comes to create an elder character. So much for a perfectionist life simulator… that’s really not the way in my opinion. Everything in The Sims 4 seems unrealistic and magical, starting by professions. For some reason, all the basic/primal professions have been removed and most of these activities do not exist in game anymore – policeman, fireman, medic, teacher, lawyer and businessman are no longer part of the daily life. And even if the criminal job still exists in this fourth game, thieves do not. Now, we have a list of elitist professions. Hail the snobbism effect: Astronaut, Chef, Criminal, Entertainer, Painter, Secret Agent, Tech Guru and Writer are now the new promising careers. I think we’re getting too far away from reality here. Way too far. But it gets even worse with the inexistence of physical work places. The setback is real and it’s not going anywhere. 3. Improvement: What’s New, Really? The new builder is quite amazing, it’s really intuitive and easy to maneuver – creating houses and decorating them have never been so natural. The new personality system is also reasonable but besides that, what’s new? Nothing really. Innovation and improvement were surely not taken in consideration during the creation of The Sims 4. The whole game looks like a short version of the previous one, The Sims 3, with way less content of course. On the visual side, the graphics are basically the same, nothing stunning or surprising. Finally, the in-game activities are less than before and hobby places like the cinema, theater and stadium are gone, as well as many stores and facility buildings, like the book and grocery stores, the hospital and the cemetery. Déjà vu, anyone? 2. Content & Features: Is This a Demo? The Sims 4 feels like a demonstration. Maybe because I’ve played all the other Sims games before but still, there are so many things missing that it’s quite unbelievable. For example, simple and mundane things like pools, dish washing machine, cars and toddles are not existent in-game. Fires get auto extinguished, broken objects get auto repaired, social services are instantaneous and tax collectors are invisible. Everything happens as pure magic, as if the game was made in a rush and there was not enough time to implement features that have been part of the previous three games. The city panorama was also affected. Now, sims can only visit a few places such as the Park, Lounge, Museum and Gymnasium. 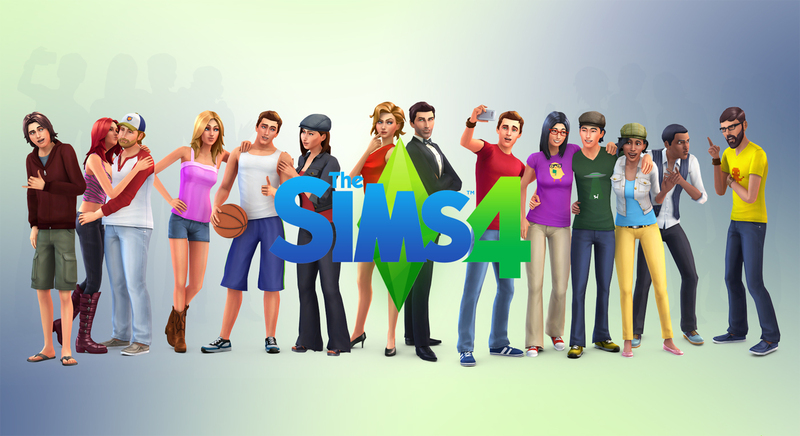 I would say that The Sims 4 was created based on a single slogan: “Peace and Love Baby”. Why? Well, with so many things missing the new virtual world is not just unrealistic, it’s like a fantasy world put into a life simulator, where crime only exists if you choose, where bad things are stopped by mystic powers, where primary jobs are part of the past, where swimming is only a dream and where death and sickness are barely extant. Everything is chilled and ordinary, filled with snobbism, glamour and the utopia of a perfect world. In other words, it’s boredom at its best, not realism. Next articleRetro Corner: ChuChu Rocket!